At the beginning of the year, I started an ongoing series on people in dream jobs in the food and beverage industry for my Khaleej Times column- When Hunger Strikes. 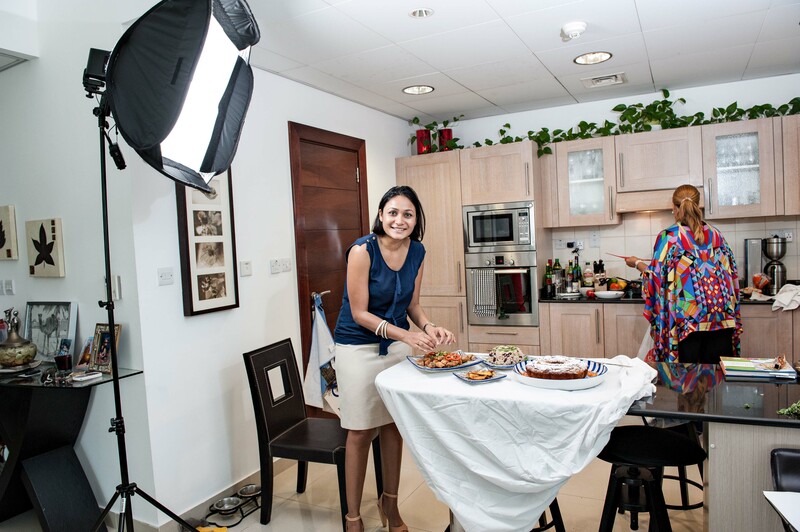 So far, I have featured several people including food artisan Dima Sharif and food stylist Fiona Archibold. Chef Lij and I have decided to expand this series to our blog but in a way that is slightly different from the original series. This is the first post for our new I Work in Food Series which complements our Head Chef Series that we started some time ago. I interviewed the new BBC GoodFood ME magazine editor, Sudeshna Ghosh to get a sneak peak at what it takes to be a in a job like hers. What are some of the greatest highlights of your career? I hope they are yet to come! ☺ Jokes aside, I’ve been very fortunate to have the opportunity of meeting some very interesting people throughout my career, from film stars and sports personalities, to celebrated chefs, and in some cases, ordinary people with inspiring stories. I’ve also been able to visit some interesting places, and try out different, exotic and exciting dining experiences around the world which I may not have been able to, if it weren’t for my job. But, all said and done – not to sound clichéd – but the biggest highlight has to be the sense of satisfaction you get each time you complete a fantastic feature, an exclusive interview, or simply an outstanding issue of the magazine. That creative joy is incomparable! You have a career exceeding 10 years in the media, ranging from TV, to being a features and lifestyle editor. What made you decide to focus on food? It wasn’t totally planned. I’ve always loved food (I think everyone in my family does! ), and have, over the years unknowingly turned into something of a foodie, with my passion for trying new and different culinary experiences, at home, when eating out, or when travelling. You could say food and travel are my twin passions, and nothing makes me happier than when I can combine the two – discovering new cuisines around the world. In terms of my career, I have also unwittingly always focused on food and travel as a lifestyle journalist, alongside other things, whether it was reviewing restaurants for TV, or styling recipe shoots for a magazine. The move to edit a food magazine felt like the most natural thing in the world, therefore. How did you find your transition into food and beverage publishing? Very smooth, and not that much different – as I used to do a lot of similar things even before, it’s just that it’s a lot more specialised and focused now. The principles of magazine publishing remain the same, whatever the sector, it’s just that the focus changes according to the subject – and what could be more fun than food? In one word, varied. No two days are alike – but it isn’t always as glamorous as it seems! On some days, I could be chained to my desk, and on others, I might be flitting around from a press event, to a photo shoot, to a meeting, to a restaurant review after work. My job involves not only planning and of course managing execution of the content for the magazine, but also helping to manage all the peripheral brand activities, such as the Food Club, the annual BBC Good Food awards, and so on. What skill sets are essential for a job like yours? Creativity, some sort of writing talent, a good visual eye, the ability to plan ahead, inter-personal skills, vision, and of course, an understanding and knowledge of the area you’re working in – in my case, food. Traditional management skills (people management etc.) also apply. I have noticed you have been coming up with great themes for the magazine since you got on board. Any more exciting things to expect for our foodie followers? Oh, lots! We’ve just got our fifth anniversary issue coming out in October, putting which together has been very exciting. This issue will also see a fresh new format and design, so there is plenty to look forward to, for our readers. It depends – it could be a nothing more than a simple home-cooked meal of Bengali food (which is my comfort food) or it could also be an awe-inspiring gourmet experience at a Michelin star restaurant. as much as I enjoy a luxurious five star meal, I equally love a little hole-in-the-wall secret gem that serves up good food. I think, undiscovered new places are definitely something that excites me. I don’t have any one favourite cuisine, but have a weakness for Italian, modern European, Vietnamese and Thai. That list could change any day! What I don’t like is style over substance – simple cooking, that is big on flavours, rather than technique, is the best, in my book. As a busy food magazine editor, do you ever find time to cook? Not as much as I’d like. 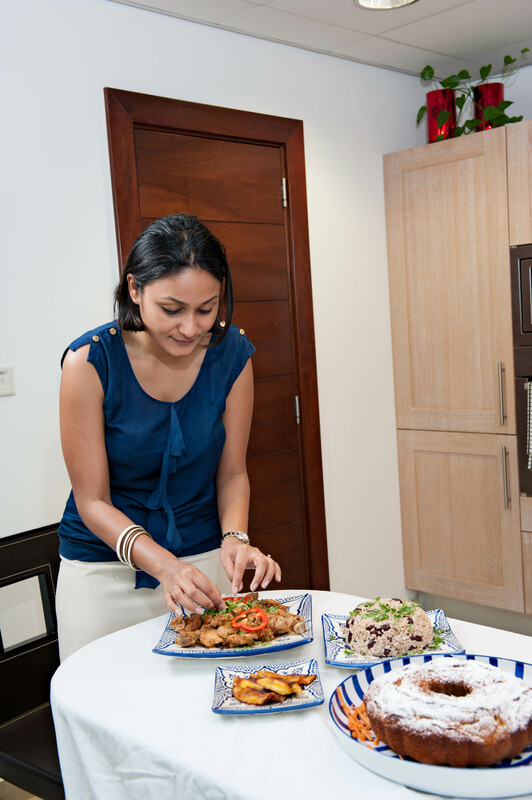 It’s very important for me to eat – and feed my husband – healthy, wholesome and home-cooked food as much as possible, and I try to minimise eating out on weekdays – as much as possible, work commitments permitting. Having said that, I probably end up cooking at home no more than three or four times a week at best, given work schedules etc.,… I wish I could manage more. I didn’t! I just started cooking instinctively when the need arose, and picked things up as I went. I’m not a recipe-driven cook, and am terrible at measuring ingredients and sticking to something strictly by the book (that’s why I don’t really bake)! I like to throw a bit of this in, toss a bit of that in, and usually, it turns out quite OK. I’ve been told that I have a good palate – when I was little, my mother used to rely on me for all her taste-tests – which helps in putting things together. What advice would you give anyone who is aspiring to be an editor in the food and beverage industry? Work hard – there is no substitute for experience and learning on the job; And be curious – a hunger to learn and understand more, will automatically lead to development of your knowledge and skills. Food is something that everyone cares about, so as an editor, we have a responsibility towards our readers. Respect that. And finally, be passionate. If you don’t have that passion for something, it will seem a lot harder. Media jobs can look very fun and glamorous on the outside (and they are, don’t get me wrong) but don’t get carried away by that. Don’t let that be the reason you enter this industry – it is an incredible amount of hard work, and that’s something people on the outside don’t always see. Get into it only if you know you will love it in spite of all the hard work, and then – you will love it. Are you yearning to have a job like hers? There is a long road to becoming a paid writer/editor. See more in this interview that author Dianne Jacobs had with Coleman Andrews, a founding member of Saveur, now head of editorial at The Daily Meal. Loved this interview, very intriguing. Thanks Sandra. More to come in this series! Are you working in Dubai? Yes we are working in Dubai Mafaza. Thank you for stopping by and we are happy you liked the interview. Our favourite subject is food too so be sure to keep coming back and leave comments so that we know when you do so. Lovel reading about another Bengali foodie… I’m sure passion drives one but ultimately it’s the hard work that shows.This is a wonderful series that you are writng on. People have so much curiosity as well as false notions about professions which are beyond banking, medicine, management and engineering! Hey Bengali foodie Ishita – yes the hard work and talent are critical. Thanks for your positive response to our new I Work in Food! Series. I cannot tell you how many times we have got this response about the post. It is a lucrative job and we are thrilled to have the chance to share. Good one Kari 🙂 enjoyed Sudeshna’s answers and the glimpse into the food editors’ world. Thanks Dima, yes as you outlined in a recent post, working in the industry is no mean feat.